Sometimes you may find yourself wanting a little suspense and maybe some "keep you on the edge of your seat" excitement in your reading choices. In his newest series, James takes the fast-paced action he has become known for in his Patrick Bowers Files series, and introduces his readers to his newest hero, illusionist Jevin Banks. Written in the same "bite your finger nails" style as the Bower series, readers will find James' new series dark, intense and suspenseful. They will also discover a story about a man who is trying to move past a tragic moment in his past - in order to move forward in his career, life and future. It's a strong, solid addition to James' literary stable. I think people who have fallen in love with his writing style will find his portrayal of Banks to be intriguing. But don't take my word for it.... I had a chance to toss James' some questions by email about his newest work - here's his answers. 1) Why a new series? What drew you to base this series on a magician, rather than a law enforcement figure? I’m still continuing the Patrick Bowers thrillers and The King will release next summer. However, I have gathered a lot of ideas over the last five or six years that would make great stories but were just not the kind of ideas that would fit well with the Bowers crime novels. So, finally I just decided I needed to launch a new series to be able to use the material. I’ve always wanted to avoid the clichéd characters that appear in so many crime novels and thrillers, and I thought a new series needed a totally different approach—not a detective or a spy, but still someone who could investigate things and had an interesting skill set. An illusionist who debunks psychics and is one of the world’s greatest escape artists came to mind. Then, when I started the books, he became a character I really enjoyed writing about. 2) Both Bowers and Banks have troubled backgrounds. Why are you drawn to create characters who are facing personal challenges? At the heart of a story is tension, and at the heart of tension, unmet desire. So, stories are essentially about characters who want something and can’t get it. 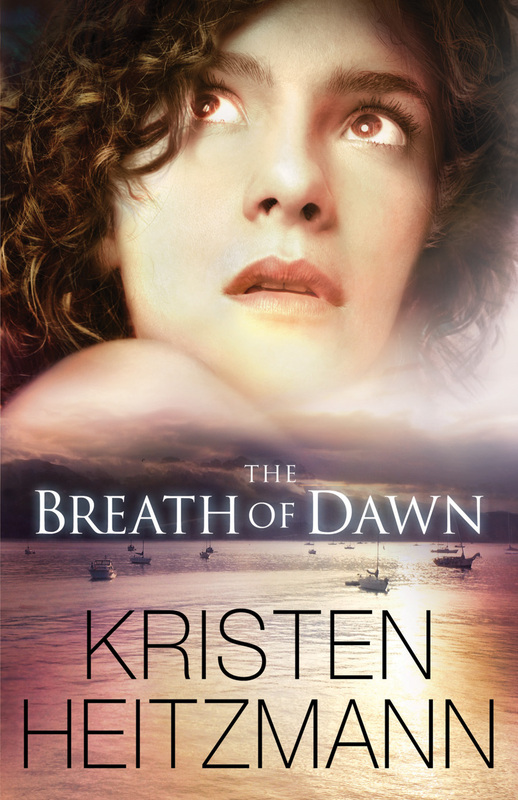 I like to have main characters who are working through difficulties because that tension, that unmet desire for peace or hope or love or forgiveness, drives the story forward. Also, on a more personal level, I think it might actually help me deal with issues of loss or disappointment in my own life. I don’t write for therapy, but I think there’s always something therapeutic about writing. 3) What did you hope to create with this new series? What do you hope readers take away from it? As always, I’m trying to first of all entertain my readers. There are plenty of distractions and diversions in our world today. If readers aren’t engaged in a story or emotionally involved with it, they will put it aside. So yes, first of all to entertain them. Secondly, I always like to ask big questions in my novels, and I would like readers to ask those questions with me. It may sound paradoxical, but I think novelists have an obligation of telling the truth about the world. Rather than sugar-coating evil or making it look attractive, I think we need to be honest about it. Hope, too. And grief. And grace. I don’t start my books with a message in mind, but rather a series of questions I’m asking myself and I’m hoping that readers will ask themselves, too. 4) What did you learn from writing this novel? How did God speak to you through your words? This book opened my eyes up again to something I already know, but don’t put into practice enough—that my beliefs, my prayers (if it’s the will of God)--can have the power to change reality. As I wrestled with this issue, I came to understand the importance of my prayer life, my thought life, my heart life. 5) What's next for Banks? How many books do you see in the series? I’m planning on writing three books in this series. The next is titled Singularity and will be released next summer. It picks up where Placebo left off and takes an interesting trip through the world of autonomous weaponry and thought-controlled robotics. Fascinating stuff. 6) So are you finished with the Bowers series? Will there be a "King"? As I mentioned earlier, The King will release next summer and then, if all goes as planned, I would like to finish up the series with Checkmate. Who knows, there may even be a spin-off book called Raven featuring Tessa as the main character in the works. But you didn’t hear that from me. I think James tackles some deep issues - including the desire for peace, hope, love and forgiveness - as he crafts his storylines. 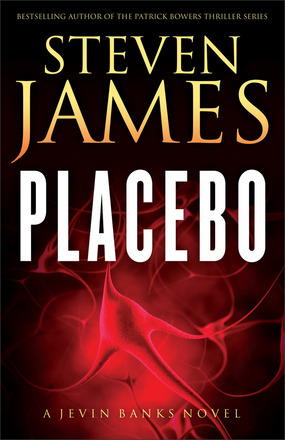 James is a solid author, and one I highly recommend. Steven James has penned 30+ books spanning the genres of psychological thrillers, prayer collections, dramas, monologues, a nine book series on creative storytelling, YA fantasy, and inspirational nonfiction. He has received wide critical acclaim for his work including four Storytelling World Honor awards, two Publishers Weekly starred reviews, and 2009, 2011 and 2012 Christy Awards for best suspense. His latest thriller, The Queen, won a 2012 ECPA Book Award and the 2012 Christy Award for Best Suspense Novel. Steven earned a Master’s Degree in Storytelling from ETSU in 1997 and is an active member of International Thriller Writers, the Authors Guild, Mystery Writers of America, and International Association of Crime Writers. He is a contributing editor to Writer's Digest, and has taught writing and storytelling principles on three continents. He lives in the foothills of the Smoky Mountains of Tennessee with his wife and three daughters. When he's not writing or speaking, he's rock climbing, playing disc golf, or (shh....) slipping away to a matinee. In 2002, the church I was attending decided to do a "church-wide" study on a new book. The Purpose Driven Life. Rick Warren, lead pastor for a "new" church, Saddleback Church in California, was just emerging as a new voice in the Christian publishing world. The Purpose Driven Life was ground-shaking in 2002. It caught the attention of millions of people, searching for answers to three simple, yet powerful questions. 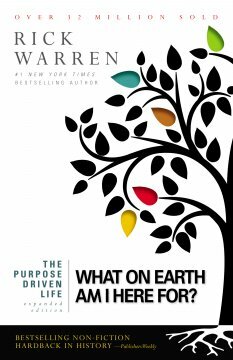 I joined in on the book study, because like others - I wanted to know answers to the three "deep" questions explored in the book: Why am I alive? Does my life matter? and What on earth am I hear for? Since the initial release, Warren has gone on to make great strides in both his pastoral ministry at Saddleback and his writing ministry within the publishing world. Ten years later, I'll admit, I still find myself searching for answers to those three simple, yet powerful questions addressed in Warren's book. So it's no wonder, that Warren decided to update what has become a "classic" work. He did so, especially for a new generation of readers, who may have been teenagers at the time of the first release. But rather than release it with a new cover and a few tweaks, Warren has done something unique. The book is simply a portal to a plethora of media resources. Each chapter contains a QR Code, which directs smart phone (or tablets) to a website that contains a video introduction by Warren. It doesn't stop there - each day (chapter) has an audio Bible study - that means Warren has provided more than 30 additional hours of teaching, as a companion to the book. There is even an editable online message note section - so you can take notes as you listen, then print or email the text for future use. 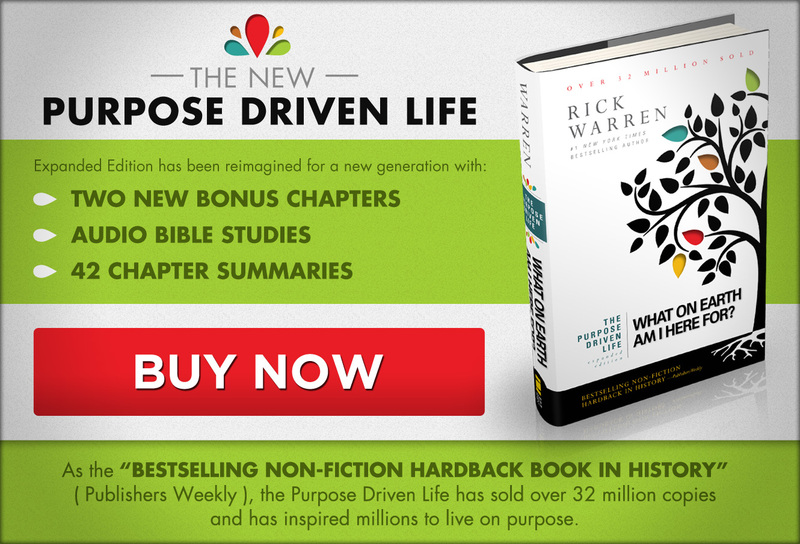 Also new in this edition: Warren has added two bonus chapters, identifying what he says are two common barriers to living a purpose driven life. Those chapters include "The Envy Trap" and "The People Pleasing Trap." The expanded resources also includes access to an online community, where readers can discuss their journey to purpose, get feedback and receive support. (I searched the online resources, and finally found the link to Saddleback's internet campus: http://www.saddleback.com/internetcampus/smallgroups/ - I'm not sure if this is the right link. To be honest, this was the hardest of the "new" resources to navigate online. What Warren has created, at least in my view, is unprecedented. I've seen other books use one or two QR Codes like "sprinkles on a cupcake" - more for flash and show. But Warren's use of the QR Codes and the book's new website show an amazing understanding and grasp of the power behind internet based technology. Ultimately, Warren has taken a solid book and given it an amazing facelift - without diminishing it's quality. The facelift goes well beyond a new cover - and the new online resources give new and old readers alike a reason to take a look at it. At one point in life, I cynically thought Warren created this book to gain his "15 minutes" of religious publishing. (Trust me, working for a church, I've seen the "next big thing" come and go, in a variety of areas.) I think the lasting impact of this book - and the way Warren has lived his life in the last 10 years - show that I was wrong - and for that, I'm glad. This resource has stood the test of time. I think the newest resources will not only help breathe new life into the book, but introduce it to a media-savvy generation with ease. As founding pastor of Saddleback Church, Dr. Rick Warren leads a 30,000 member congregation in California with campuses in major cities around the world. As a theologian, he has lectured at Oxford, Cambridge, Harvard, University of Judaism, and dozens of universities and seminaries. As a global strategist he advises world leaders and has spoken to the United Nations, US Congress, Davos Economic Forum, TED, Aspen Institute, and numerous parliaments. Rick has also founded the global P.E.A.C.E. plan, which Plants churches of reconciliation, Equips leaders, Assists the poor, Cares for the sick, and Educates the next generation in 196 countries. Note: As a freelance journalist, I was provided a copy of these books by the BookSneeze Review Program. This review was not influenced by a free book - just in case you (or the FTC) were worried about this detail. How do you capture your memories? Do you keep them hidden away or do you share them with others? Sarah Shelter keeps her memories in actual glass jars. Like precious stones hidden away from light, Sarah keeps her trinkets, rock and other mementos hidden away in jars - just like she hides her emotions. It's how she's lived life since her best friend was killed in a horrible accident.. 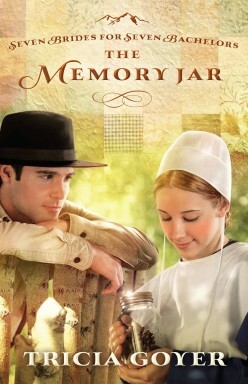 But then she meets Jathan - a kind, sweet and quiet Amish man who challenges her to break out of the jar she's placed her life - and to remember that one must live in order to make memories. In the first novel in her newest series, Seven Brides for Seven Bachelors, Tricia Goyer has crafted a warm, loving novel that reminds readers not only of the simplicity of life, but it's fragile nature. You can't help but fall in love with Jathan and Sarah as Goyer develops first their friendship, and later, their romance. While the novel is set among the Amish, readers can easily identify with the struggle Sarah has to not only live once her best friend is killed, but to move on - and grasp the future. Think about Goyer's style of Amish Fiction this way - Laura Ingalls Wilder used her pen to help readers remember a simpler time - life on the prairie - filled with family, friends and faith. I think at the heart of her work, Goyer strives to do the same thing. FYI - While I may not be a fan of the entire "Amish Fiction" genre, I truly enjoy reading Goyer's books. (By the way, I'm not just saying this because she and I are becoming "in person" friends - not just social media pals). I think Tricia has captured a piece of Americana simplicity. She reminds people to savor their friendships - and that sometimes we need to "unplug" from the world in order to find ourselves. 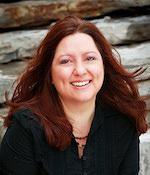 Tricia Goyer is the award winning author of over thirty books including Beside Still Waters, Remembering You, and the mommy memoir, Blue Like Play Dough. Tricia is a regular speaker at conventions and conferences and is the host of Living Inspired. 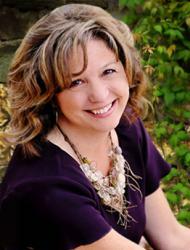 She and her family make their home in Little Rock, Arkansas where they are part of the ministry of FamilyLife.